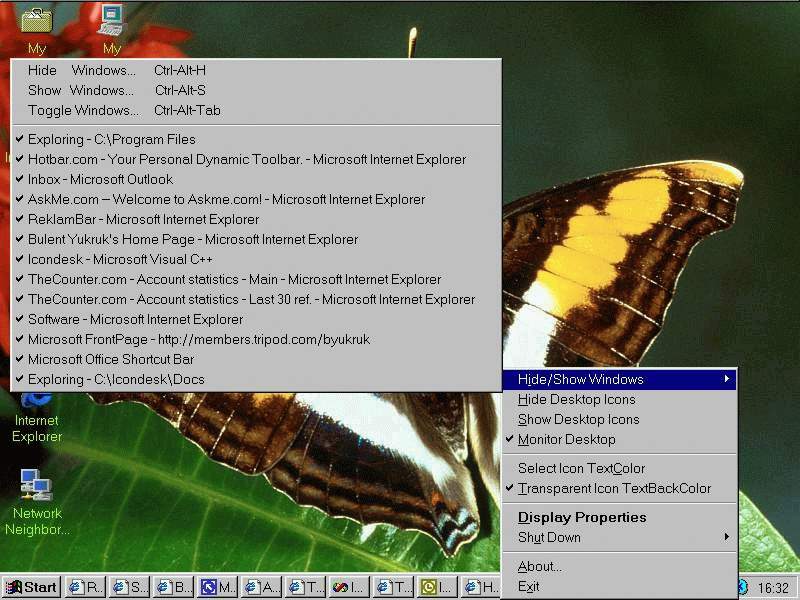 /MONITOR or /NOMONITOR sets the ICONDESK that would be check the changes on DESKTOP. /TERMINATE sets the ICONDESK that terminates itself immediately after the initial settings. 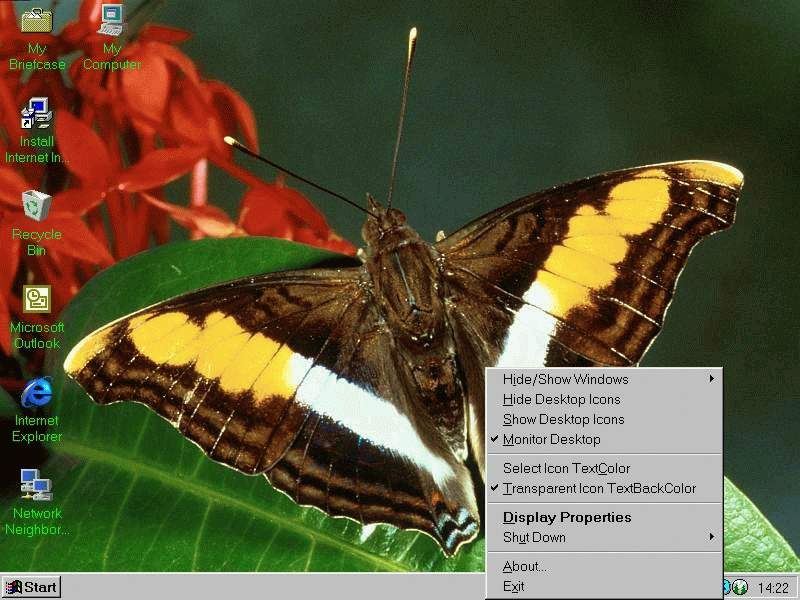 /TRANSPARENT or /NOTRANSPARENT changes the Desktop Icons Labels that are disappear transparently. /RESET resets all ICONDESK parameters to the assumed values. You can hide windows (all or some of them), now. press CTRL-ALT-H keys to hide all windows. or press CTRL-ALT-TAB keys to toggle the windows (between hide and show state). IconDesk is a powerful utility that gives you control over the icons in your computer desktop. IconDesk can make the background of these labels transparent so that you can see the wallpaper behind. IconDesk can change the color of these labels so that you can see them clearly. IconDesk can hide the icons on your desktop. 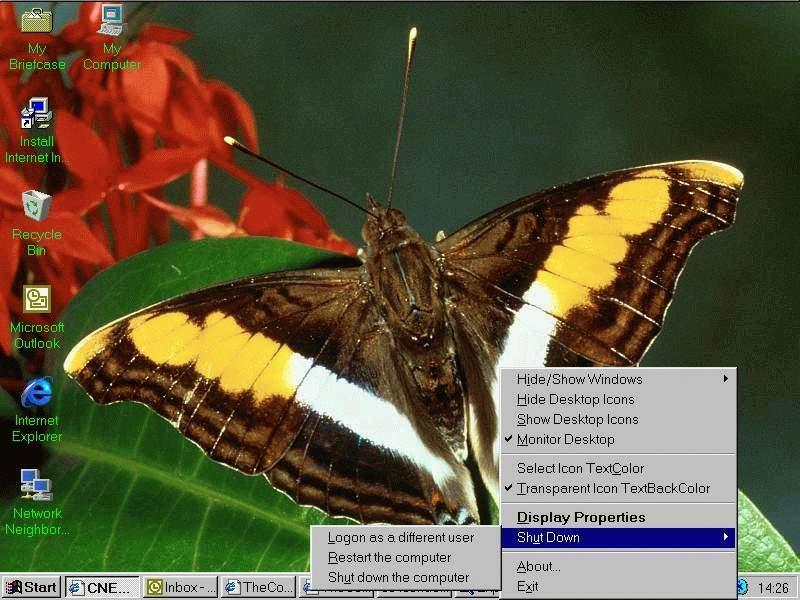 IconDesk can make the display properties available and reboot your computer from the system tray.